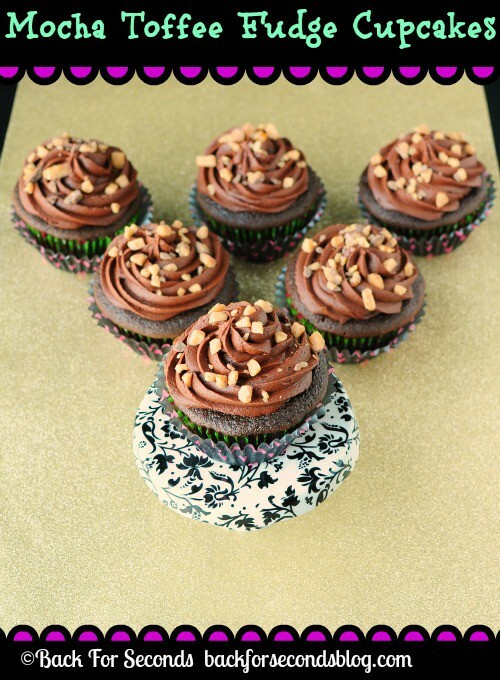 When that chocolate craving hits, and you’ve just got to have a cupcake, these Mocha Toffee Fudge Cupcakes are sure to satisfy. 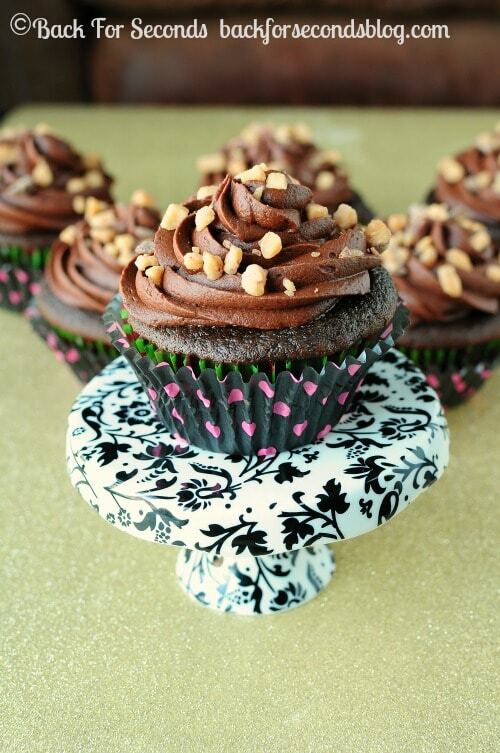 These Mocha Toffee Fudge Cupcakes have it all, you guys. They are my new favorites! Deep, rich, fudgy chocolate cake that is so moist and fluffy it’s almost too good to be true. I could seriously live on this frosting alone and be happy. It is a chocolate lovers dream come true! There is a hint of coffee mixed in, which only deepens the flavor of the chocolate, and makes the toffee POP! 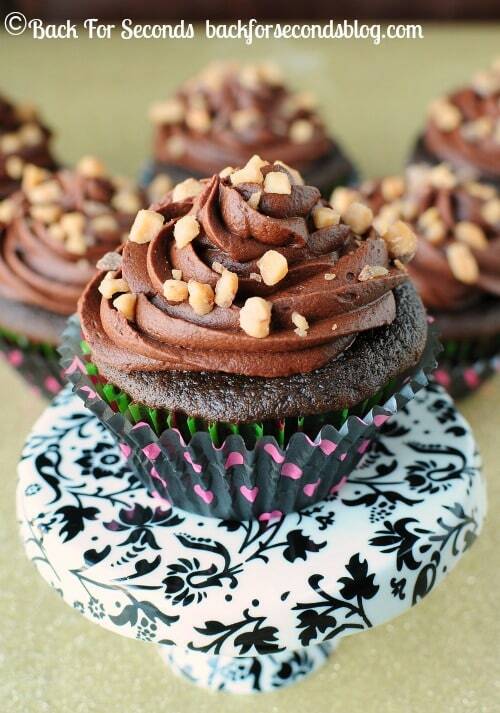 I love the little crunch that the toffee adds to these cupcakes, too. These are seriously one of the best cupcakes ever! There’s nothing complicated or fancy about them, this combination of flavors just works! I hope you give them a try! Wow these cupcakes sound dreamy. Mocha… toffee.. FUDGE?!? You are genius! Wonderful. Thank you so much, Kammie! These are so mouth wateringly amazing. Wanted to let you know they’ll be this week’s chocolate feature when my party opens up tonight! These mocha cupcakes are a work of art. I am featuring them on this week’s CUPCAKES ON PARADE #3. Top billing! It goes live on Friday. Have a blessed day, Stephanie.